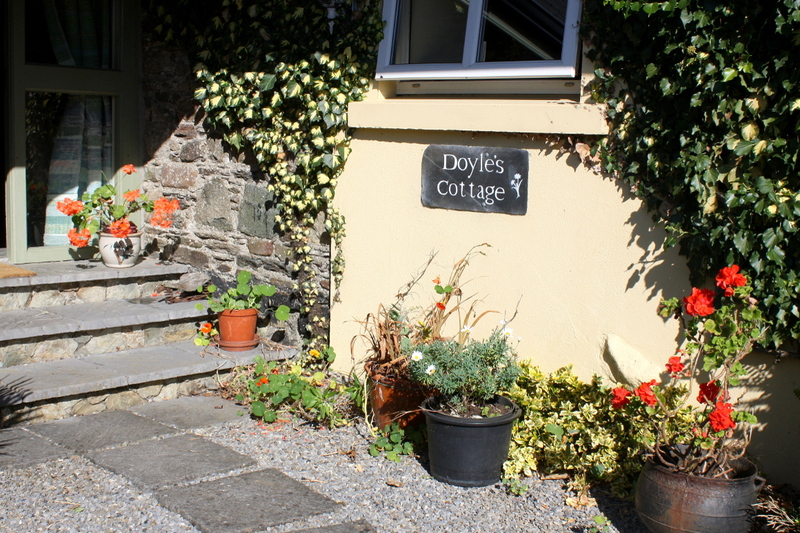 Doyle's Cottage is a charming self catering 2 bedroom cottage, with traditional features, stone walls and a wood-burning stove adding to its unique character. 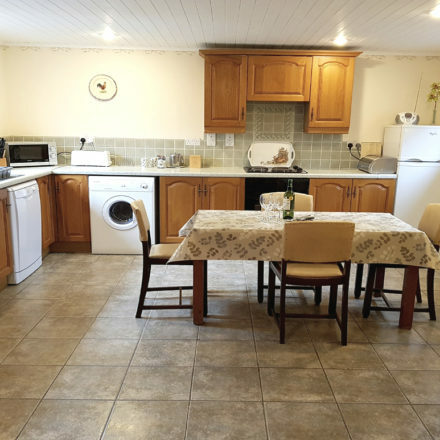 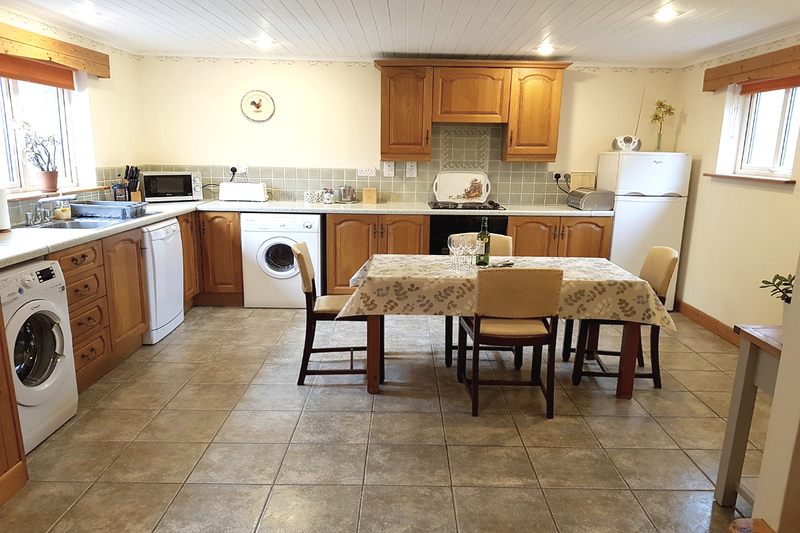 The large kitchen and separate lounge, en-suite Master Bedroom and Twin Bedroom make the cottage particularly well suited for families, and its location in a pretty south-facing private patio with garden furniture and BBQ ensure a perfect relaxing holiday! 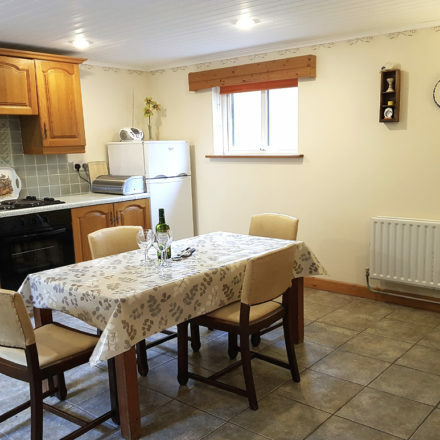 This cottage sleeps four people, plus a baby. 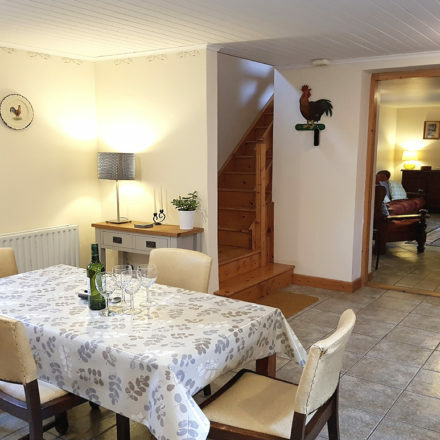 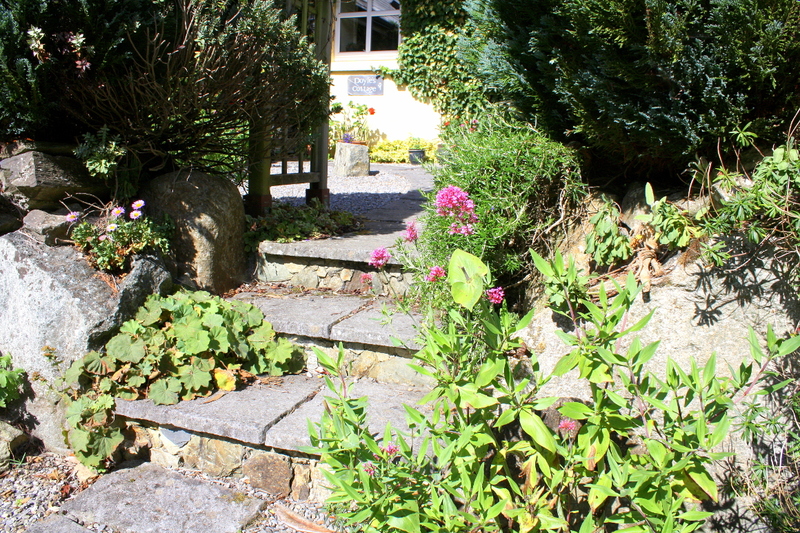 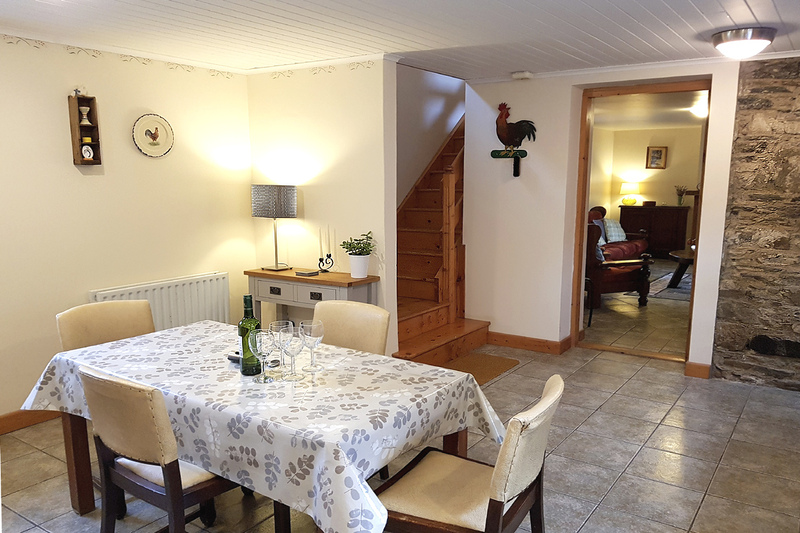 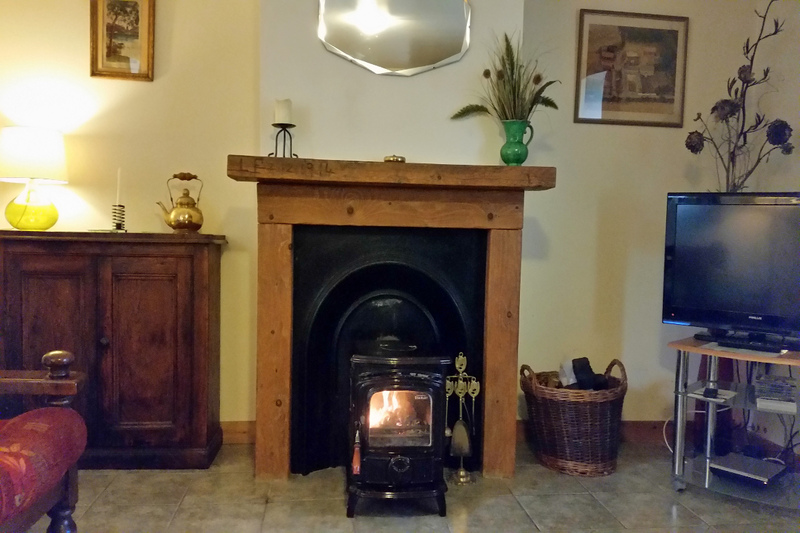 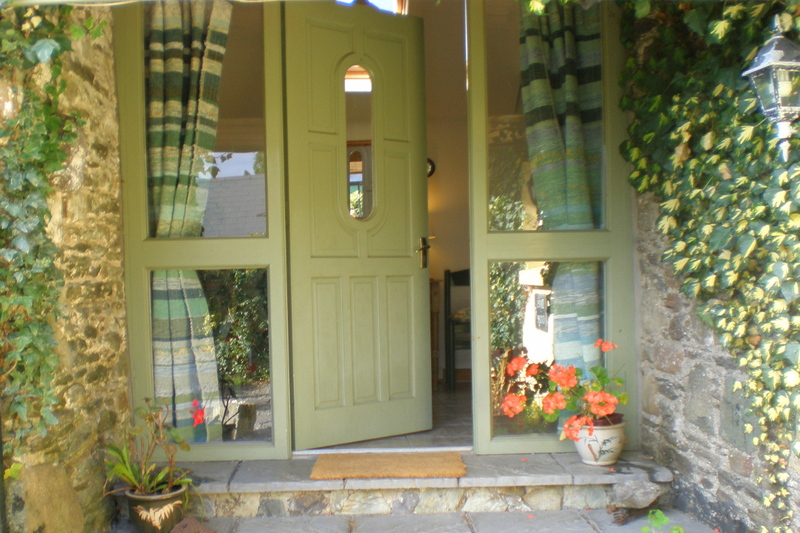 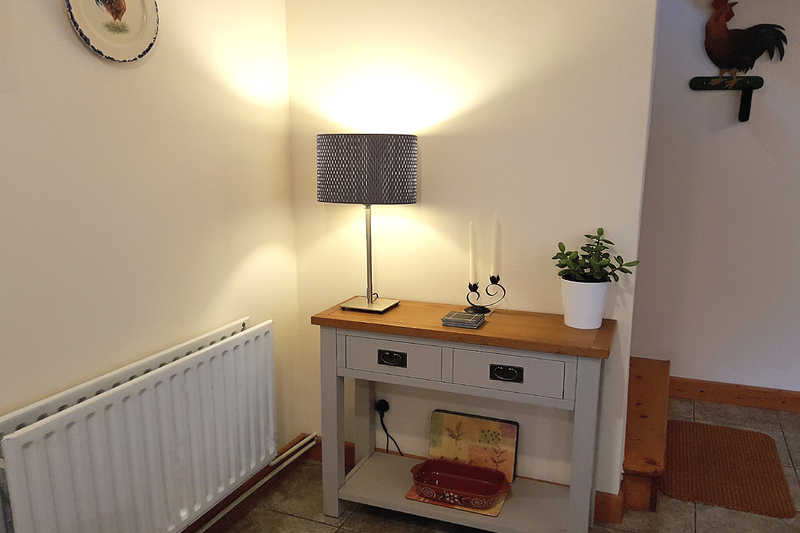 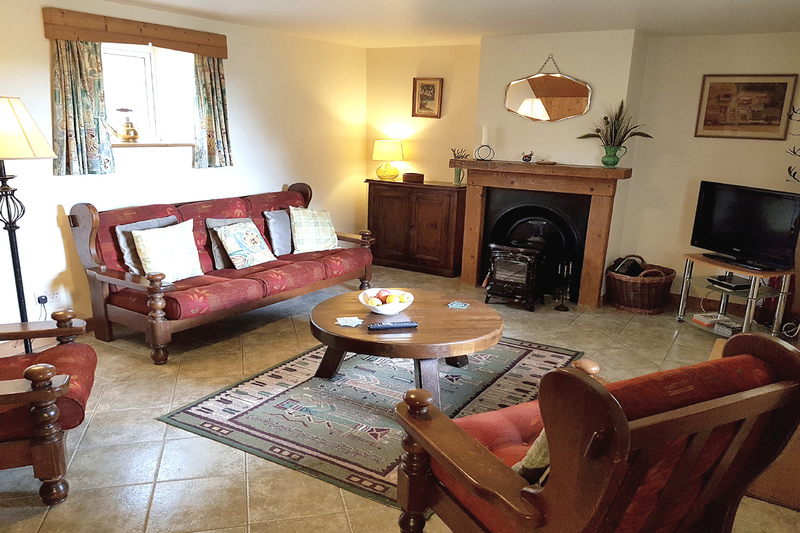 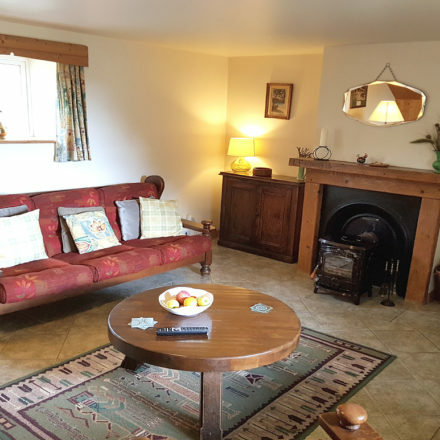 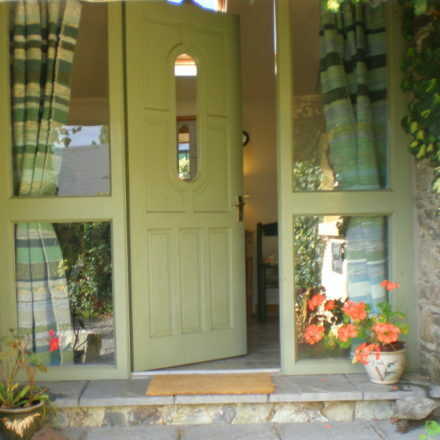 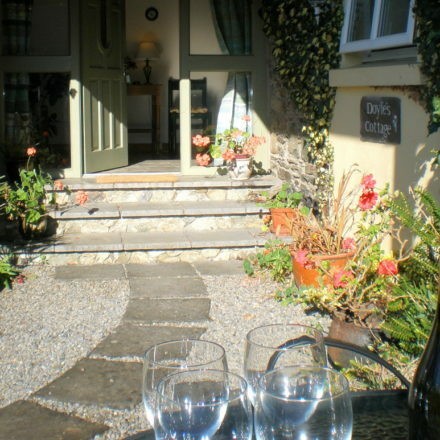 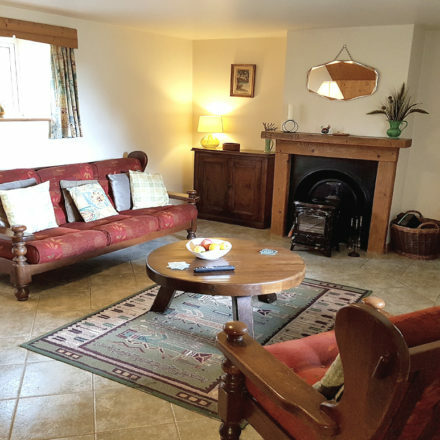 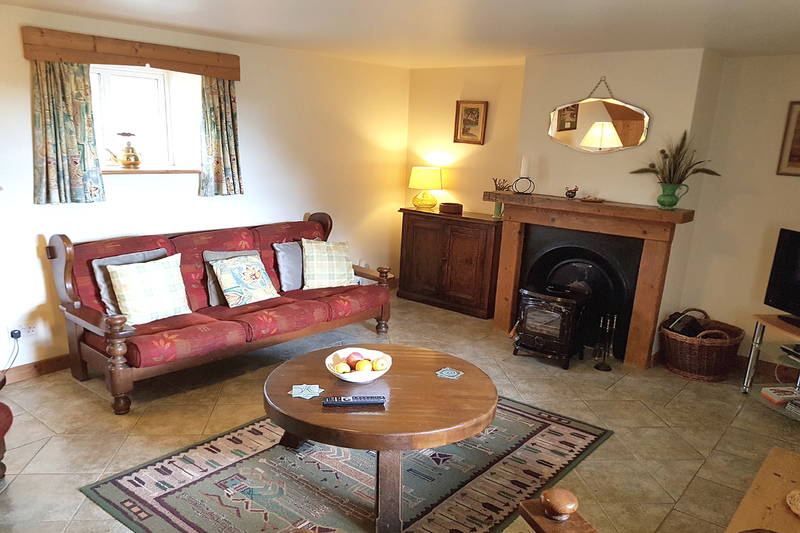 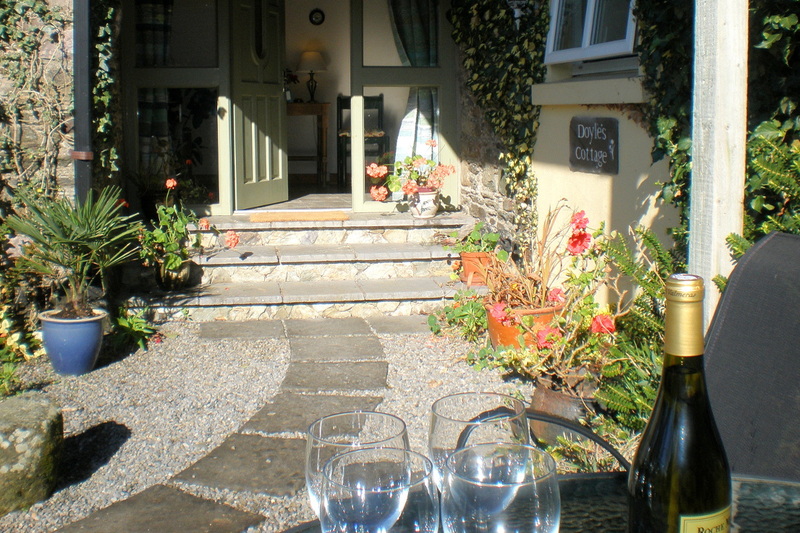 This lovely self catering 2 bedroom cottage is named after past occupant, Martin Doyle, a blacksmith who worked on the farm for many years – always laughing, and whistling while he worked! 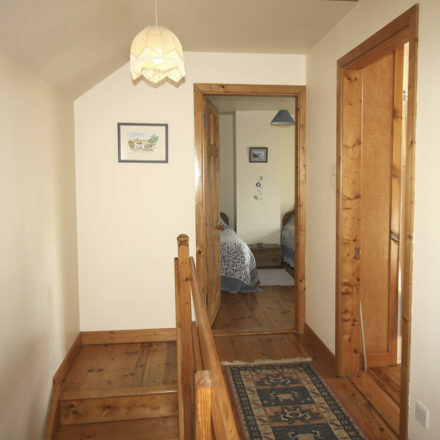 The entrance hallway with natural stone walls opens into a large well-equipped kitchen and dining area, and there is a large separate lounge. 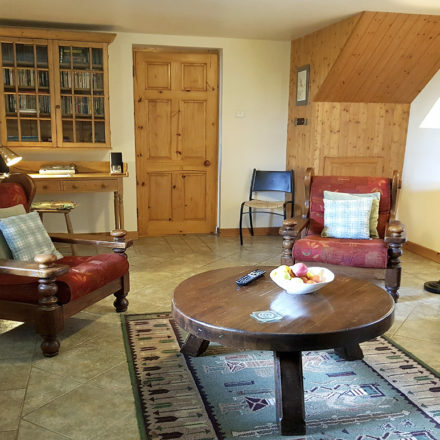 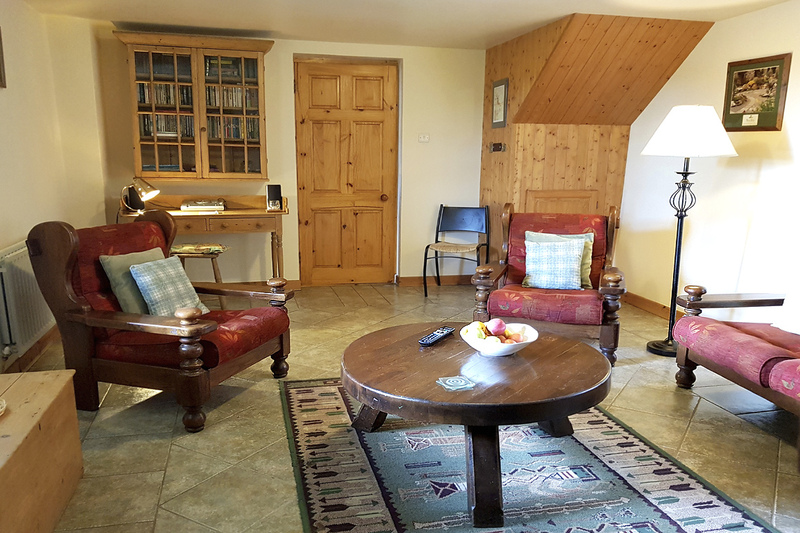 The lounge has comfortable seating and pleasant furnishings include a writing desk and well-stocked bookcase and a wood-burning stove, perfect for relaxed evenings in front of the fire! 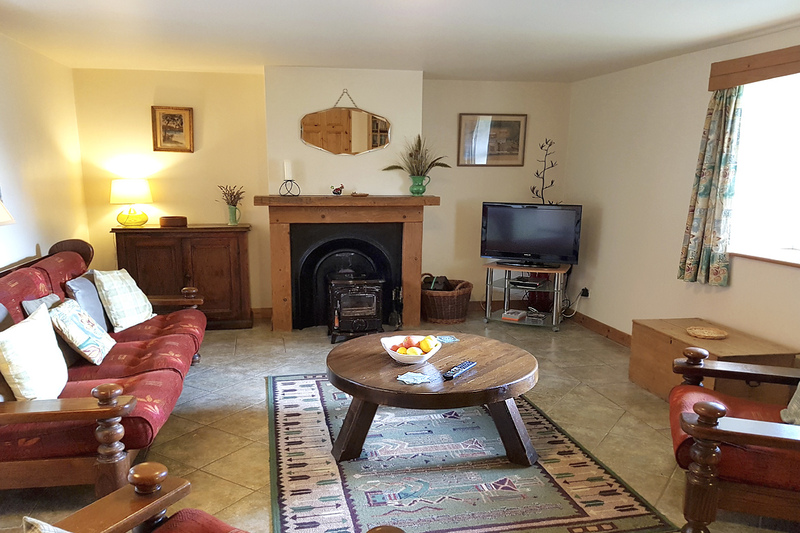 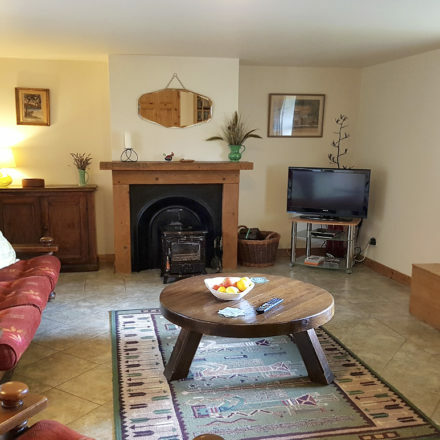 The cottage has a large flat screen TV with Irish and English channels and lots more, also a DVD player and a radio/CD Player. 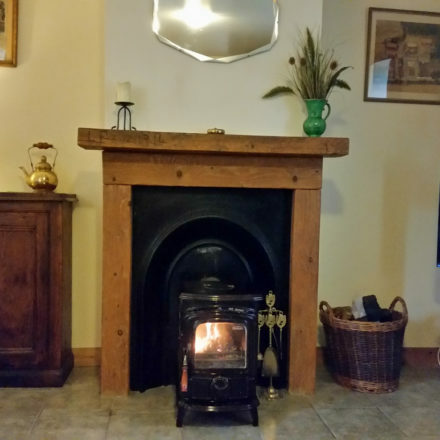 It has oil-fired central heating and a wood/peat-burning stove. 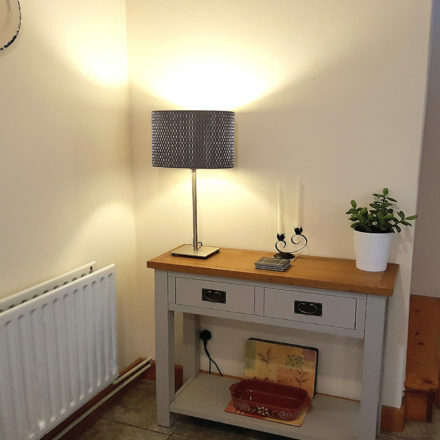 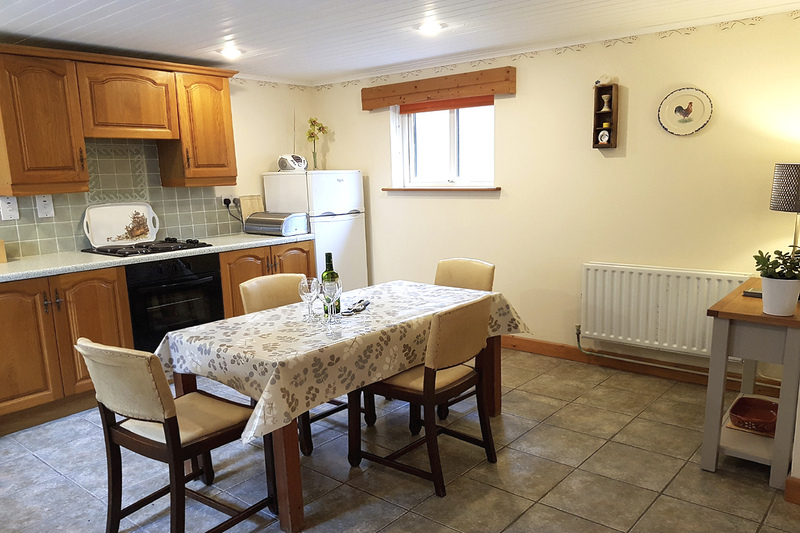 The large modern kitchen in Doyle’s Cottage is equipped to the highest standards with electric oven and hob, microwave, fridge/freezer, coffee-maker, electric kettle, toaster, dishwasher, washing machine, tumble dryer, iron & ironing board, and there is ample crockery, glasses and cookware. 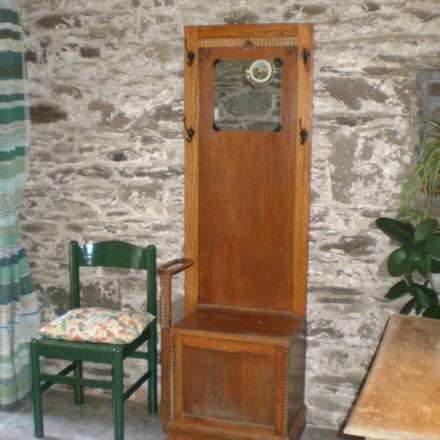 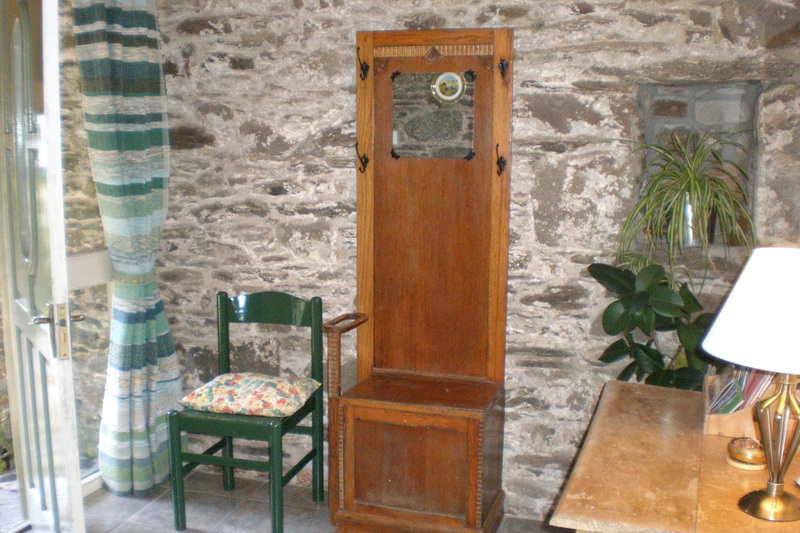 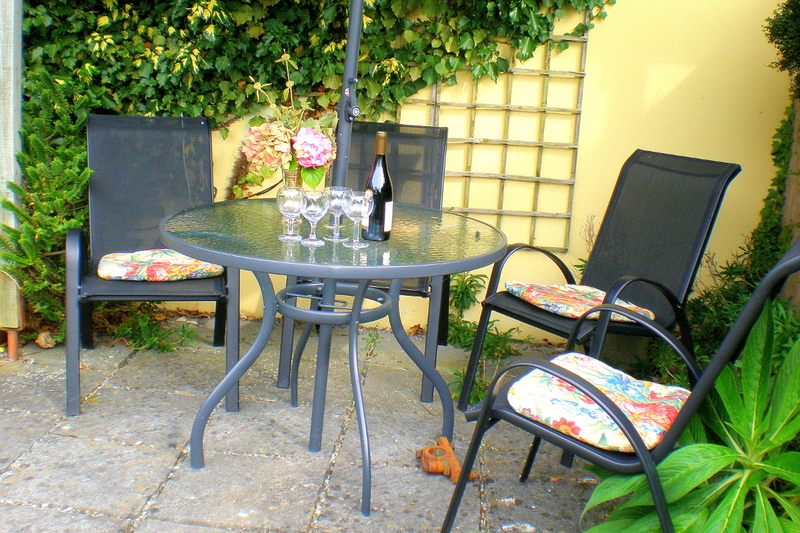 The dining table seats four and there is a handy side table nearby . 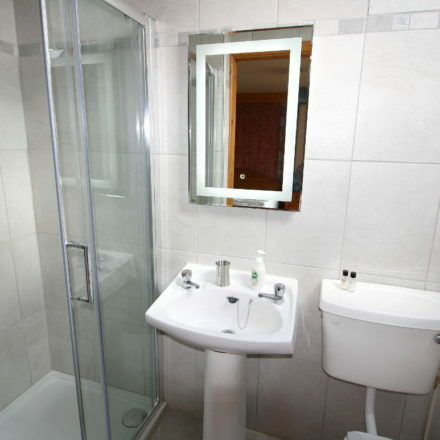 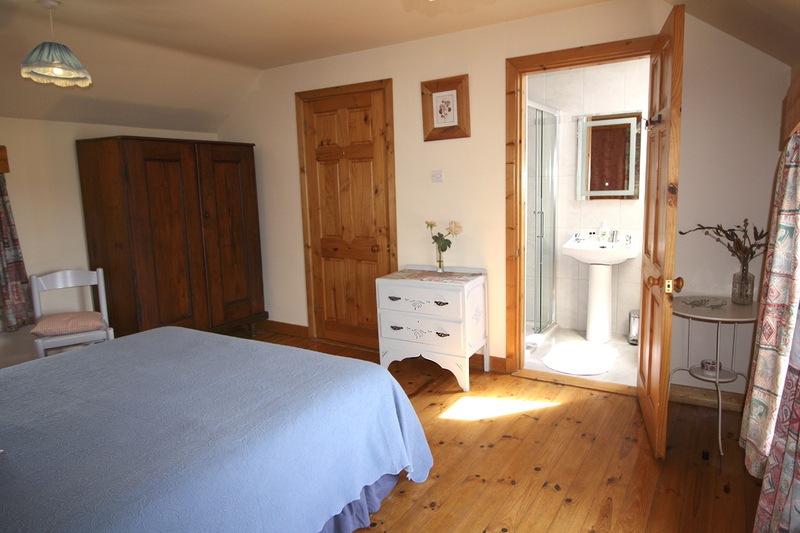 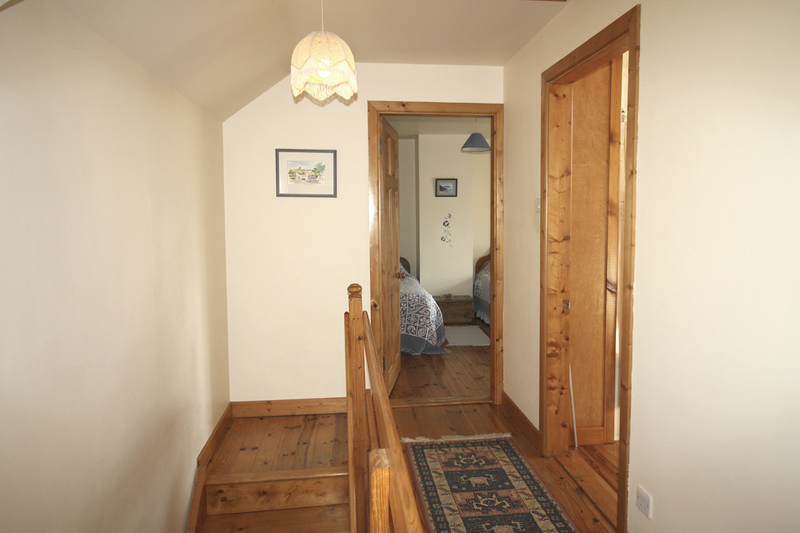 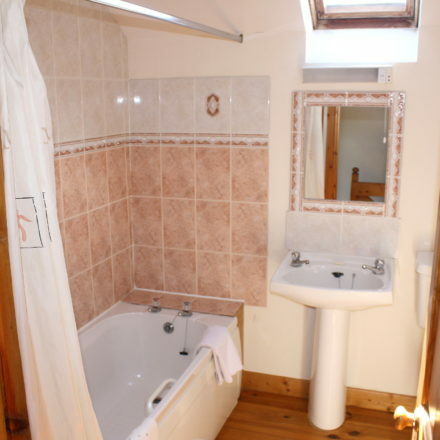 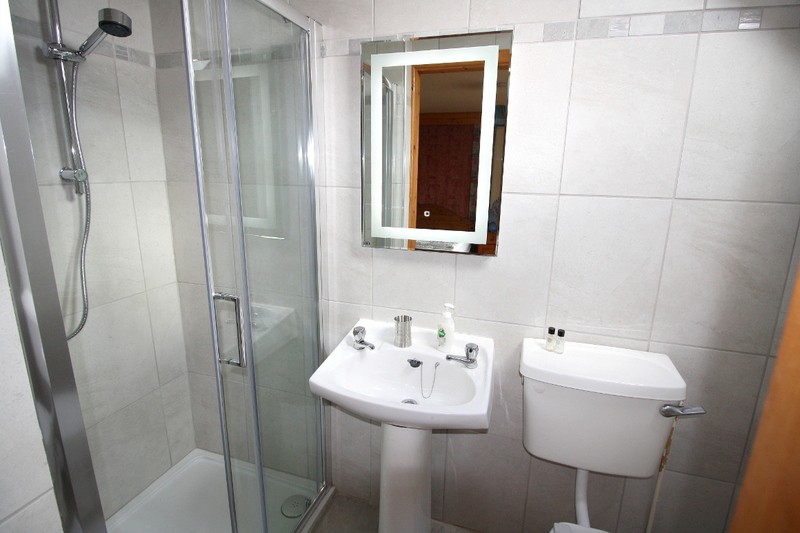 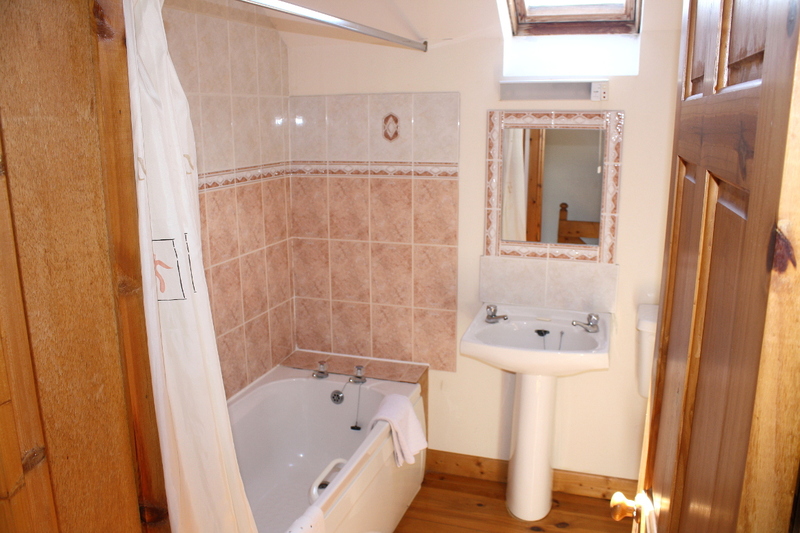 The Master bedroom upstairs has a large 5 ft double bed and an en-suite bathroom with shower, toilet and hand basin. 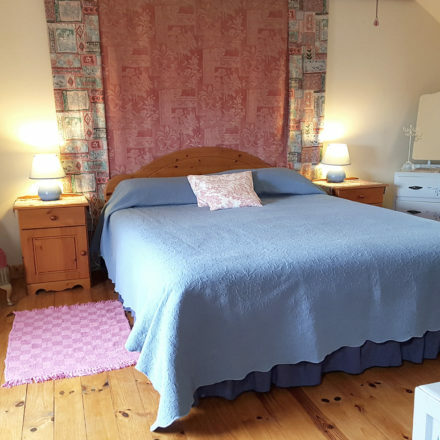 The bedroom is decorated with pretty stencils and wall hangings. 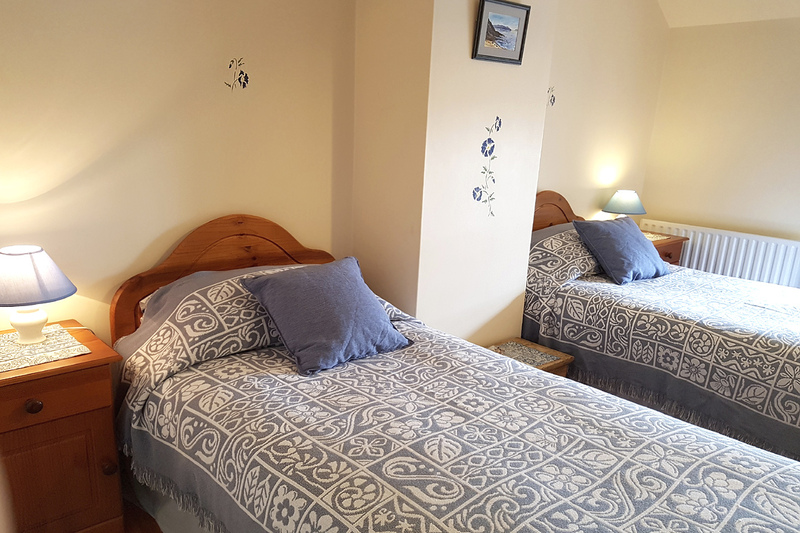 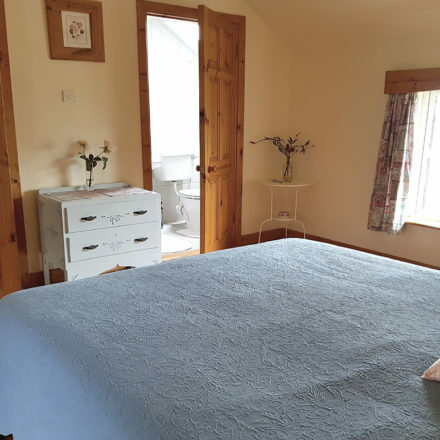 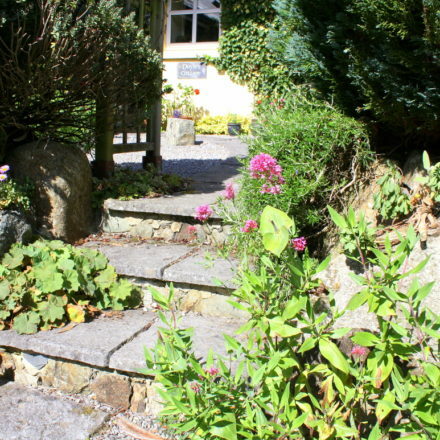 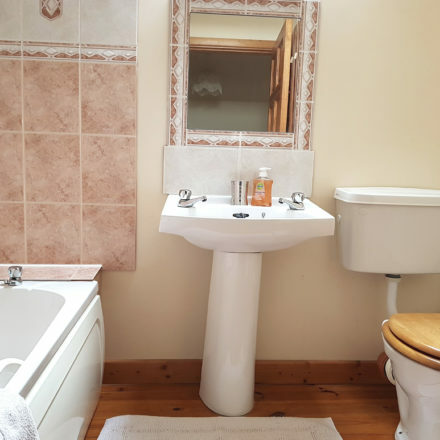 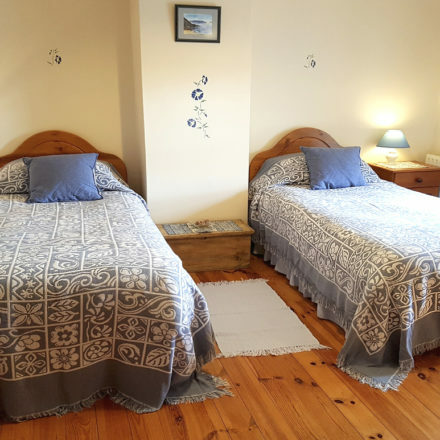 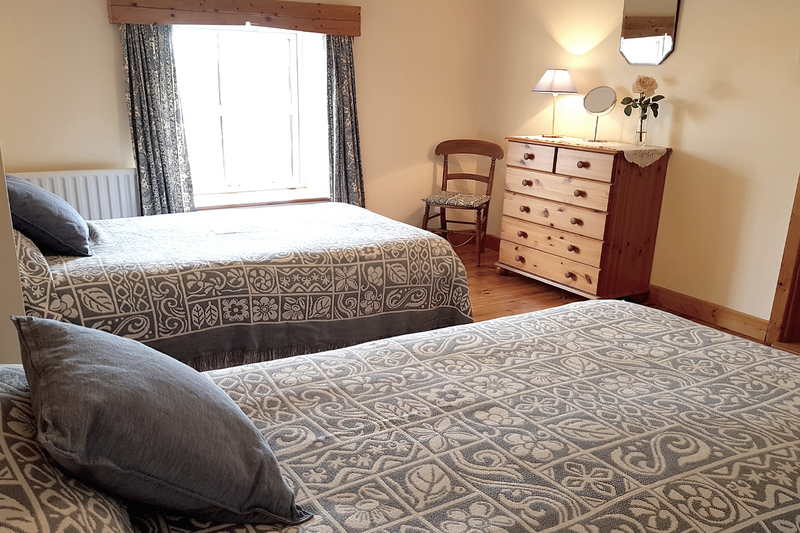 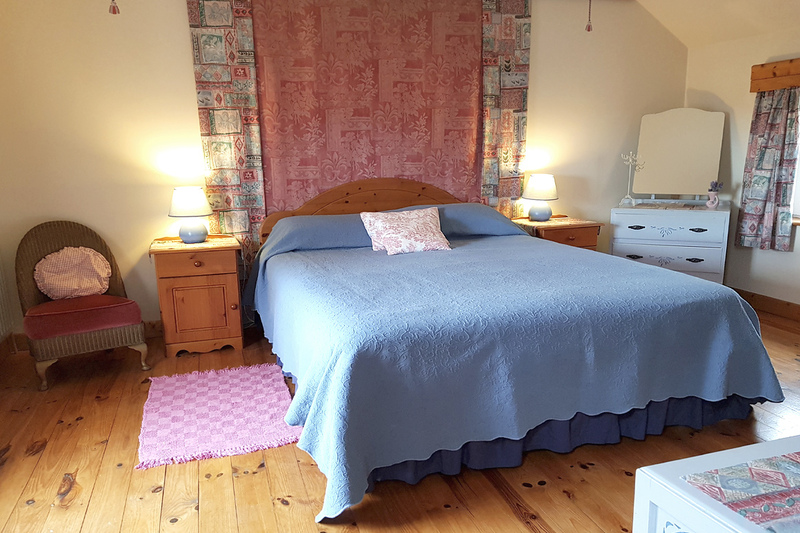 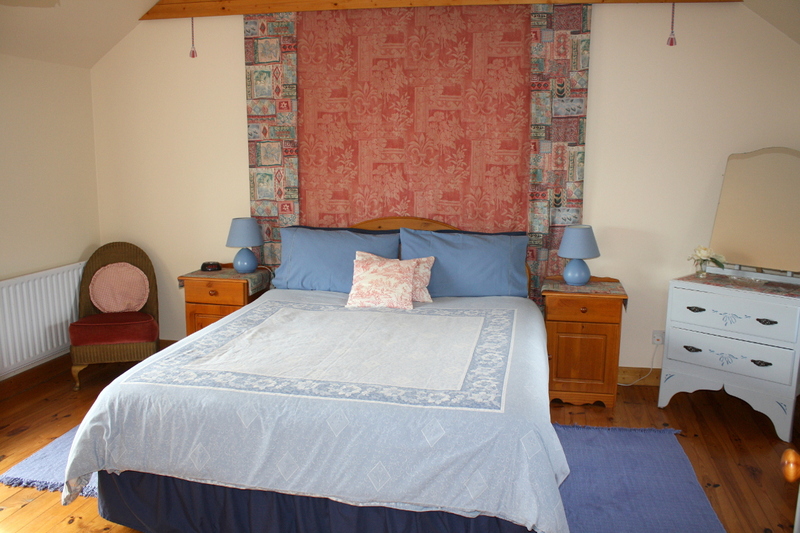 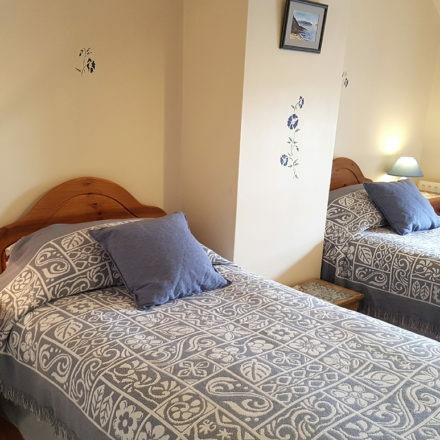 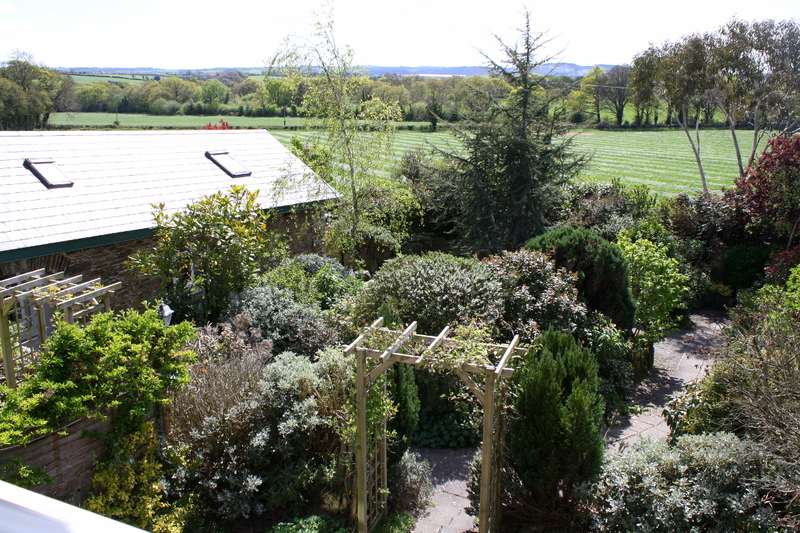 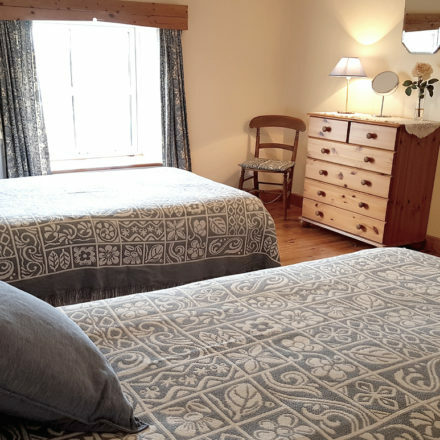 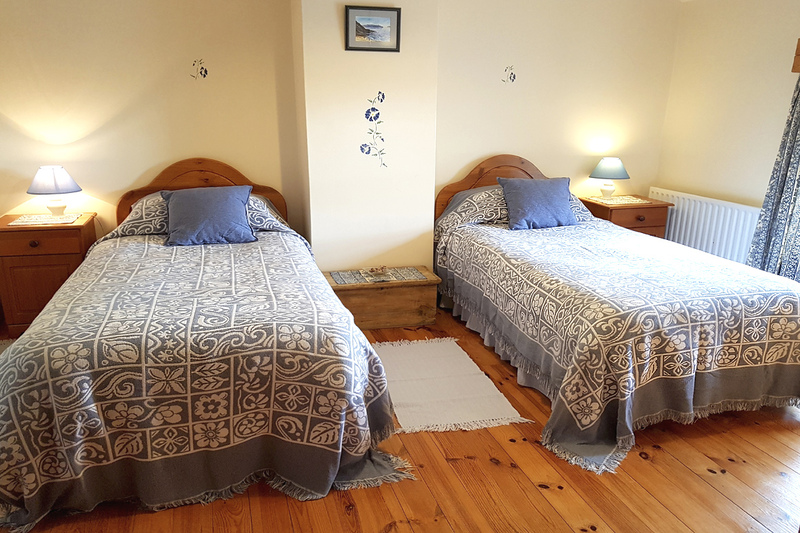 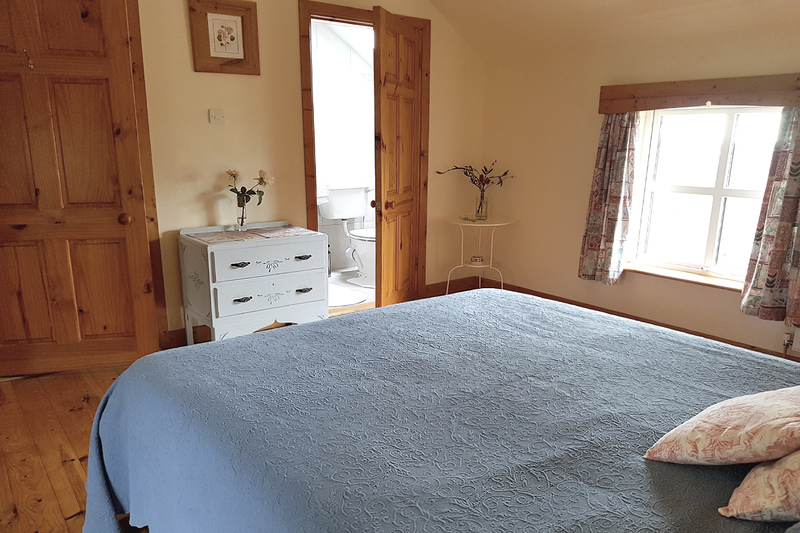 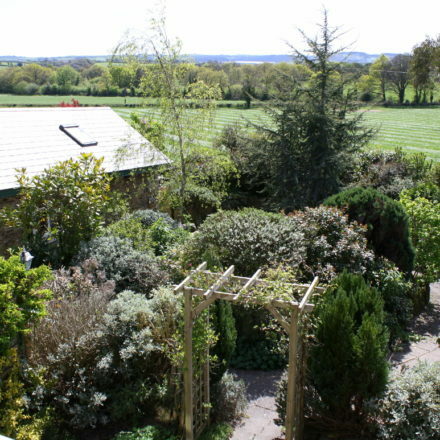 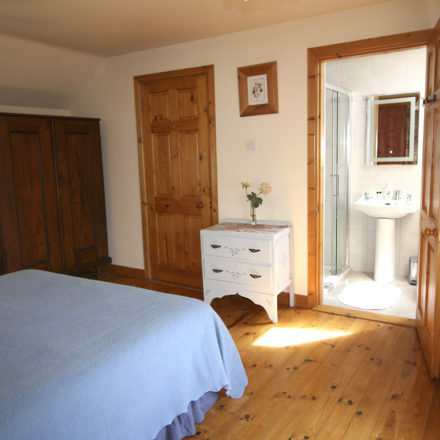 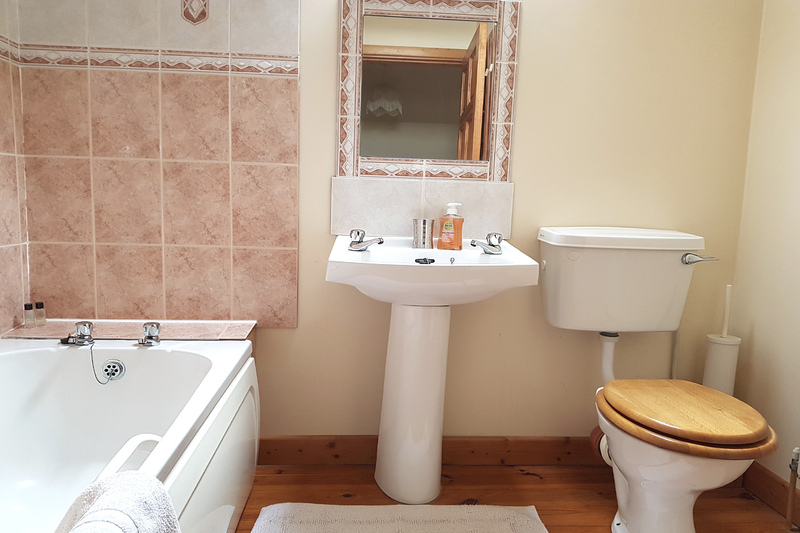 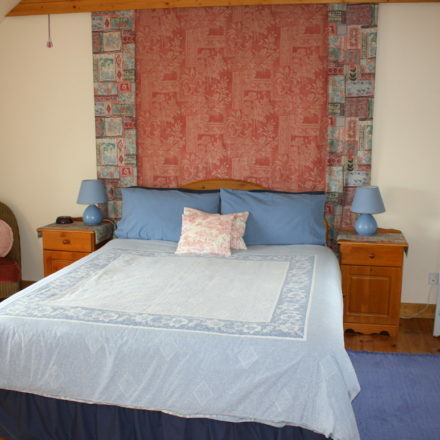 The pretty twin bedroom has lovely views of the garden and countryside and is located beside the main bathroom which has a bath with a shower, toilet and hand basin. 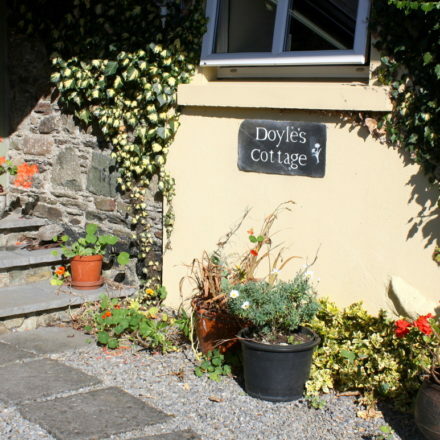 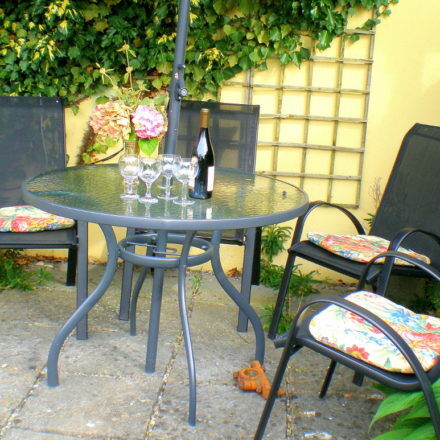 Doyle’s pretty south-facing garden has a patio with a table and chairs for guests to enjoy al fresco meals or just wind down with a glass of wine and admire the fragrant plants and slower pace of life here!